Blessed with ancient history and colorful culture, natural landmarks and numerous attractions, unique architecture and masterpieces of ancient era, add to this the Armenian hospitality of the sophisticated friendly locals and the splendor of Armenian diverse culinary delights. Armenia is where past and present meet. Thousands of years of history accumulated more than enough facts to be interesting, fun and must know for everybody, whether you plan a visit to Armenia or not. There are between eight and eleven million Armenians in the world. Armenia’s original name is Hayk. It was later renamed as Hayastan, when the Iranians captured it. The country is now recognized as the ‘Republic of Armenia’. The city of Yerevan (originally called Erebuni, now the capital of the Republic of Armenia) has been continuously inhabited for over 2,700 years. Only a few cities, which include Jerusalem and Damascus (the oldest such city), are older. Founded by king Argishti I.
Armenia was the first country to be officially converted to Christianity (301 traditional date, 314 revised date: both dates predate 391, the year the Roman Empire became officially Christian). King Tiridates III who ruled from 238 AD to 314 AD, chose Christianity as state religion in 301 AD. Armenians are the first people to suffer genocide in the 20th century. During WWI the Turkish government (aka Young Turks) moved to eliminate the Armenian people from the Ottoman Empire. April 24 is commemorated as the date of the unfolding of the Armenian Genocide. Interesting Facts About Armenia – Did you Know That…? Armenia is home to the world’s longest non-stop double track cable car. The cable car runs for a total of 5,752 meters, or 18,871 feet. It was opened on October 16, 2010 and was put in the record books for its length, and hasn’t been beaten yet. The country’s national symbol is Mt. Ararat. But Mt. Ararat is actually located in Turkey. And while it may actually be inside of Turkey. The first ever leather shoe, wine making facility and skirts found in archeological excavations at Armenia, date back to 4000 BC, which shows the advances in civilization in the Bronze Age. Cool, Funny and Fun Facts About Armenia to make your day! Armenians built churches in a gothic style of architecture a century before it first appeared in Europe. Chess world champions Tigran Petrosyan, Garry Kasparov and chess is a mandatory school program in Armenia. Gambling mogul and part-Chrysler owner Kirk Kerkorian, retired pathologist Jack Kevorkian, singer Charles Aznavour, and Cher are all Armenians. The best man at Richard the Lionhearted’s wedding on Cyprus during the Third Crusade was Armenian (Levon/Leon Rubenid). Armenian was the eleventh language to be printed on the moveable type press (in 1511 or 1512, following Latin, German, Greek, Czech, Hebrew, French, Arabic, Dutch, English, and Italian). 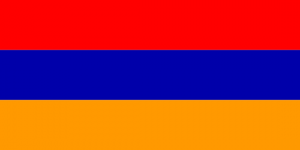 The Kingdom of Armenia, which made a significant mark in shaping the land was founded in 600 BC by Orontid Dynasty. However, due to its location which lies at the intersection of Western Asia and Eastern Europe, it was invaded by Assyrians, Greeks, Romans, Byzantines, Arabs, Mongols, Persians, Ottoman Turks and Russians. Khachkar stone memorial at Goshavank Monastery in Armenia, happens to be the place where Armenian law was first written by Mkhitar Gosh in the late 12th century. No absolutely not, especially if you are citizen of European Union, USA, Canada, Russia, Australia and some other countries – see more info here.